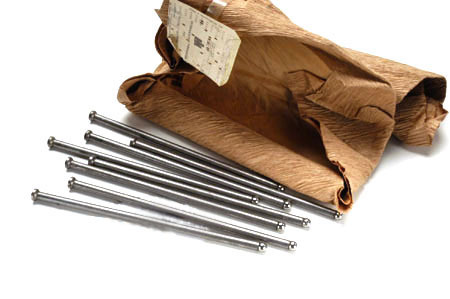 Original push rods, NEW OLD STOCK. Very rare, but we can get 'em. These are the 304 V8 and the 152 4cyl engine rods. Please specify if you need cup or ball ends on the rocker arm end of the pushrod. Sold individually.